Black Eye was a zine out of New York, and this book offers some of the best pieces from this fiesty, piss-and-vinegar, punk-inspired series. Pieces on living your life creatively at work, fiction starring John Zerzan, journal notes on the process of a budding anarchist leaving a Trotskyist group, the taking (and taking back) of Tompkin Square Park, the significance of play, and much more. 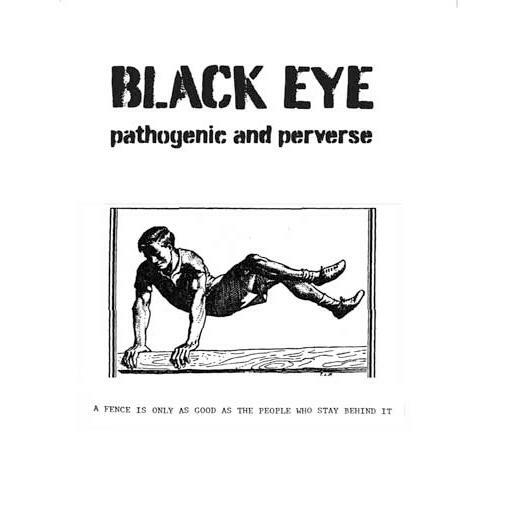 BLACK EYE was born pathogenic and perverse in a basement in the Lower East Side’s Heart of Darkness in the 1980s. Half a dozen comrades armed with even fewer weapons (besides pens and typewriters, a few cartoons and quite a few ideas) set out to upend this rotten yuppified, spectacular world and provide first-hand reports of its demise. Initial articles ranged from paganism to the poverty of student life to the confessions of an ex-Trotskyist. Fiction and poetry complement revolutionary theory and resurgent utopianism. Eclecticism continues to be a virtue, is desired and cultivated, a political gesture itself in an era of heterogeneity. The common ingredient is liberation. BLACK EYE wants to corrode all your received ideas and cherished ideological assumptions. It will give you a BLACK EYE if it doesn’t open your eyes, and it might just set you on an adventurous path of zero-work role refusal and you’ll discover you’re a voluntary conscript in an army of conscious egoists practicing the permanent revolution of desire. BLACK EYE is a proto-council of the marvelous. Pure Black: An Emerging Consensus Among Some Comrades? Modern Slavery: The Libertarian Critique of Civilization - - - ABOLISH MODERN SLAVERY!